P.E.A.R.L. is no stranger to the Weekend Circuit inner circle. Having released his ‘Desolation’ EP on the London label in 2015, his unique and refreshing productions slot comfortably in to the label's sonic aesthetic. 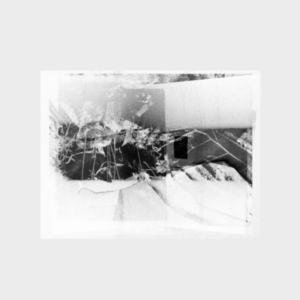 Pulsating, submerged field recordings and natural sounds bristle next to menacingly hewn tones, rhythms and textures, creating a strange and disorientating environment across 4 parts. EP opener 'Body Arched I' encapsulates this alien-esque landscape, beckoning us into the P.E.A.R.L. sound-world. Slowly unwinding drones gradually draw us in, layers of almost synthetic jungle sounds, field recordings and eerie atmospherics create images of unseen landscapes in our minds. One gets the impression that is merely the calm before the storm, it will be a long, dark and revealing night. Second part 'Body Arched II' ups the ante considerably, a blistering assault on the senses. Cavernous kick-drums dance with repeated synth lines and synewaves creating a narcotic, unforgiving and swirling miasma of epic proportions. 'Body Arched III' opens the second side of this formidable slab of vinyl. The energy levels are still high, the mood somewhat foreboding. Unapologetic, urgent and oozing kinetic energy this 3rd movement continues on a journey that will sweep you deeper into the blackest night, all systems failed, flying blind. In the right hands a piece like this can wield colossal power. The fourth and final part of 'Body Arched' taps into a more psychedelic vein, a minimalistic mantra-esque piece that continually spirals to the very outer edges of restraint. Listen closely and you can hear the shamans feet kicking up dust in the clearing. A pensive and sparse piece and the perfect note on which P.E.A.R.L. will leave us bewildered.